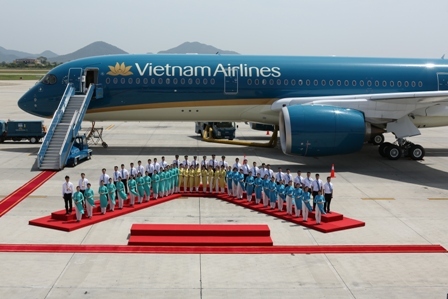 Vietnam’s national flag carrier has unveiled a dramatic revamp of its aircraft fleet and corporate branding at a recent ceremony in Hanoi’s Noi Bai airport reinforcing its bid to be Asia’s leading airline by 2020. Coinciding with the arrival of Vietnam Airline’s first new A350 in Hanoi, it marked the start of the roll-out of a major fleet upgrade for the airline including a total of 19 Boeing 787 Dreamliners and 14 Airbus A350-900 XWBs. The first new Dreamliners began service at the end of July, and will be introduced on Vietnam Airlines’ UK routes from September 2015. 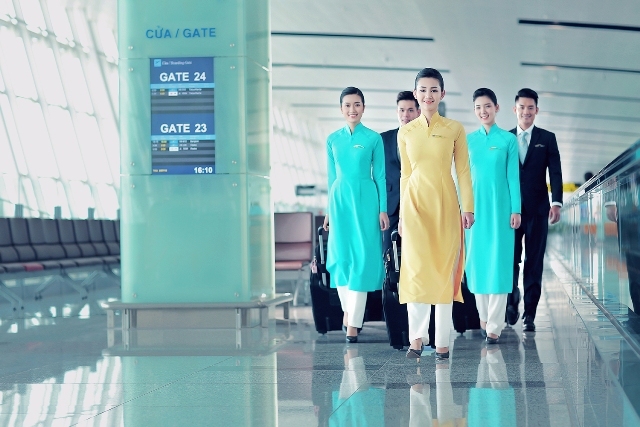 The new corporate branding symbolises a dynamic country of reform and development, while respecting its history and traditions and extends to new aircraft liveries; a new company logo; new uniforms; and new-look lounges, ticket offices, check-in counters, labelling and signage. 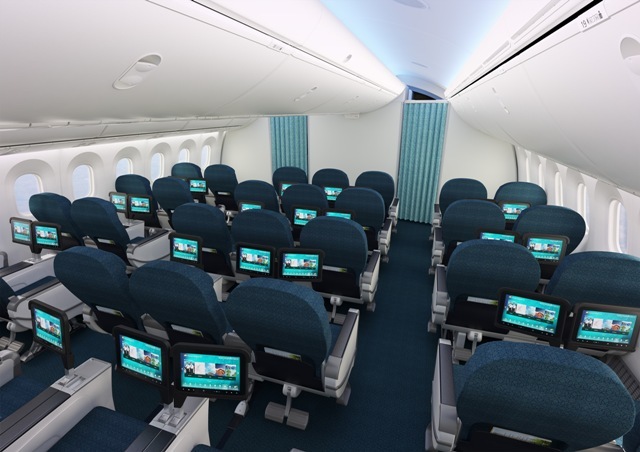 The new aircraft will feature fully flat beds in Business Class, with in-flight WiFi services also set to be introduced. Passengers will also benefit from larger windows and stow bins, modern LED lighting, higher humidity and cleaner air, lower cabin pressure and a smoother, quieter ride. 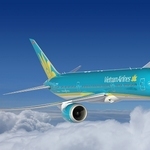 As Vietnam Airlines launches new fleet it will be the first Asian airline to operate both Boeing and Airbus’ modern next-generation aircraft at the same time. It will also be the first airline to operate the new B787-9 Dreamliner nonstop between Southeast Asia and Europe, with Heathrow becoming the first international destination on the Vietnam Airlines network to be served by the new aircraft. 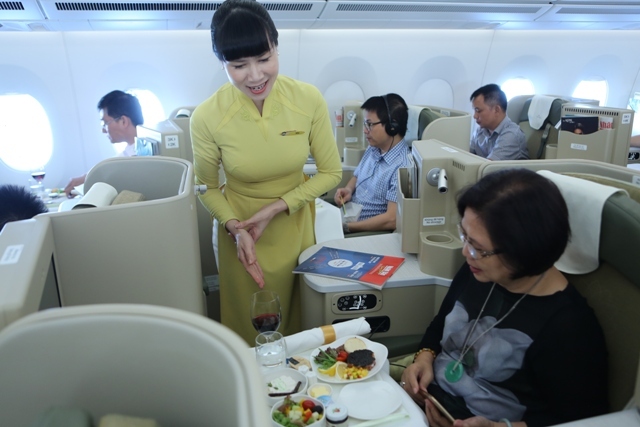 The airline will also extend its service from four flights to five or six flights per week between Heathrow and Hanoi or Ho Chi Minh City following the deployment of the Dreamliners, before increasing to a daily service for Summer 2016. Return fares from Heathrow to Ho Chi Minh City or Hanoi currently start from £441 or £525 per person respectively, inclusive of taxes. 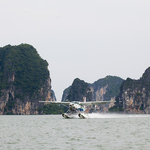 For further information and reservations visit www.vietnamairlines.com.